We’re almost there! Our Board of Directors has been working for almost a year to select a building, negotiate a contract, complete the property inspections and arrange financing. We are in the final steps to get to the settlement table. Of course, nothing in real estate is final until it’s final, but we wanted you to know that we’re almost there. Why do we need a new building, you ask? Well, for you, of course! [Swamiji] along with the Board, is focusing on the sustainability of her teachings… We have the house in Downingtown, plus we will likely purchase an additional building to house our public programs and provide resident housing… and guest accommodations for visiting yogis. Our plan is to create teachers rather than to accumulate assets; it is about the sustainability of the teachings, not of the buildings. Yet we need a building in which to base the next level of meditation teachings. We had planned to accomplish this by 2014 and we are realizing that dream on time. Especially with the tasks of the Reawakening and the Consolidation, this is a major accomplishment. 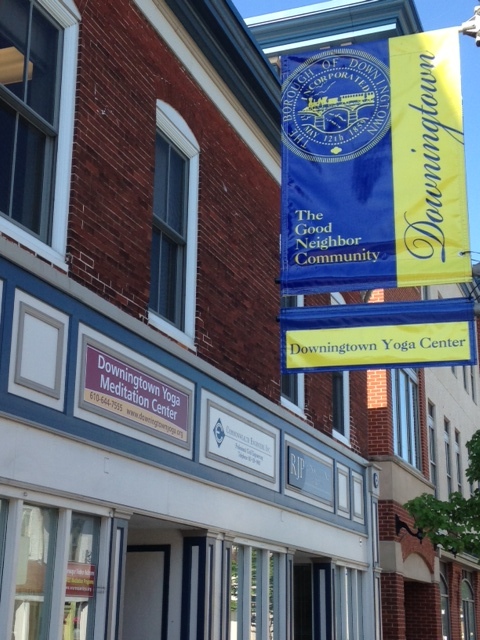 We have looked at many buildings that didn’t have the right mix of space for DYMC (Downingtown Yoga & Meditation) along with apartments for residents and guests, and this one does. The ground floor is very large, for satsangs, events and yoga classes, which we need because our current DYMC location, right next door, is bursting at the seams. The upstairs apartments in the new building are currently rented, which helps to support the building while we grow into it. We will be renovating and moving into the building in stages, and will keep you informed every step of the way. Teacher Trainings will not be held in this location, as the Desmond offers a better experience for groups needing full service for YTT, retreats, etc. This building is intended for setting the Shakti, in a location that Swamiji feels very strongly about, and will be dedicated to creating community in the form of residents and guests, drawing from local community and Shishyas worldwide. Our local community is growing, as is our online following both nationally and internationally. There is a hunger for the deeper teachings, which is the way Swamiji serves both you and the greater yoga community, who thirst for that “something more” that we Svaroopis experience and understand. In order for us to carry out Swamiji’s vision, and the vision of the organization going forward, we need this additional space. A space of our own that can hold the Shakti she pours into it. We are so thrilled to be able to provide our community with this space to grow. It is YOU who is making this possible, and it is for YOU that Swamiji, your Board of Directors, and all of the Trainers, staff and sevites serve. This entry was posted in DYMC and tagged Board, downingtown yoga, dymc, expansion, Meditation, new building, succession, swami, Yoga on August 29, 2014 by Svaroopa Vidya Ashram. Early yesterday morning before the Guru Gita, there was no snow on the Ashram lawn. 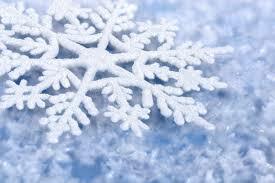 And suddenly, along with half of USA residents, we were in a flurry of activity, a beautiful blowing snow world of white. Today, three foot snowdrifts blanket the lawn. In contrast to all the dazzling whiteness, the crystal clear skies are bluer, the sunlight brighter. The evidence of this change is deep and stilling. Such is the change with comings and goings. You recognize this in your life, and it is the same at SVA: someone steps into a new role with new duties, their actions become a flurry of activity within the organization. When the flurry of activity ends, the affected change is evident. It makes the organization look different from before they arrived. We would like to thank Pix Monaco for helping SVA look a little different than it did 3 months ago. After serving in a temporary position as Enrollment System Coordinator to help get us caught up on data input during the consolidation, Pix returned in November and December to continue with important, additional input. Courses in the Enrollment System, SATYA and payment plan processing are clearer and more accurate thanks to the time and attention she brought to them. And if you had the pleasure of speaking with Pix on the phone, you were sure to be touched by her gentle kindness. Thank you, Pix! Some a snow flurries last all day and night, some last moments. Such is the case with recently-announced Bookkeeper Peter Mallis. While he learned the ins and outs of SVA bookkeeping for about a week, he felt the position did not align with his professional goals. While we thank Peter for his time and bid him good luck, we would like to welcome SVA’s new Bookkeeper Christie DeLaney. Christie brings great skill to the SVA administrative staff as Bookkeeper. With 13 years’ experience in all areas of bookkeeping, she will be performing our bookkeeping duties. Welcome, Christie! We look forward to experiencing how you will help shape SVA’s bookkeeping. This entry was posted in Ashram News and tagged bookkeeper, christie, comings, dymc, goings, Peter, pix, SVA, Svaroopa, Svaroopa Vidya Ashram, temp on January 23, 2014 by Svaroopa Vidya Ashram.